The THPO researches, documents, and preserves significant pieces of the Seminole built (or natural) environment. The office conducts architectural surveys for the Seminole Site File, creates preservation proposals for key Seminole structures, nominates buildings to both the Tribal Register of Historic Places and the National Register of Historic Places, reviews on-reservation projects for Section 106 Compliance in regards to historic buildings, and acts as a subject area expert in the field of architectural history. 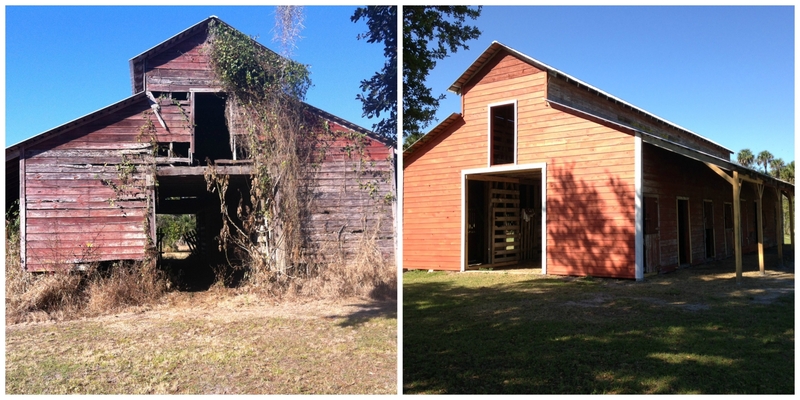 Our office has had two successful National Register nominations—the Red Barn and Council Oak. The Red Barn on the Brighton Reservation, built around 1941, is one of the oldest structures on any reservation and stands as a reminder of the start of the modern Seminole cattle industry. 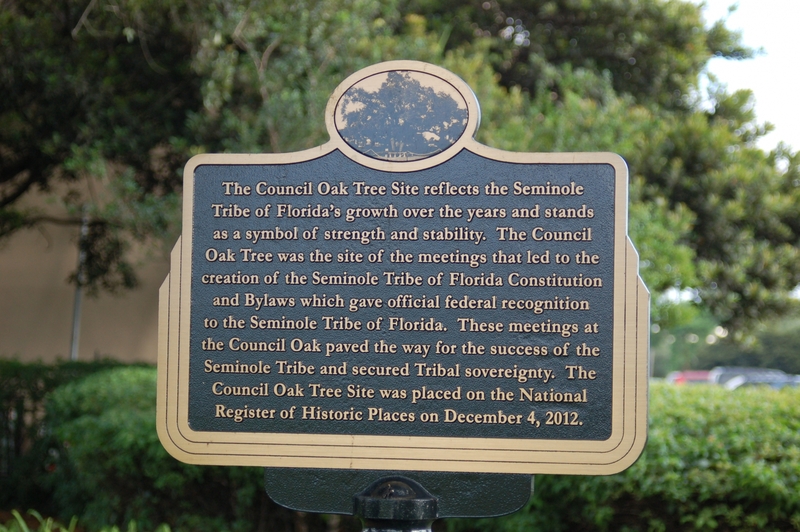 It was also the site of many meetings that helped form the Seminole Tribe’s government. The THPO hosted a celebration at the Red Barn in January of 2013 to raise awareness about Tribal preservation; over 300 community members attended to show their support for the project. The Red Barn has recently undergone stabilization and plans are underway for a full restoration. The Council Oak Tree Site was listed in the National Register in 2012. This site is highly significant for the events that occurred underneath its shady branches, including the signing of the Seminole Constitution and By-Laws in 1957. This document gave Seminoles federal recognition and helped pave the way for the future successes of the Tribe. The Architectural Historian has been working with an arborist over the past two years to ensure that the Council Oak lives a long and healthy life.